Editor’s Note: We celebrated the 76th birthday of one of New Orleans’ favorite sons just two days ago. In our ongoing Wednesday series, we offer ten things you may not know about Malcolm John “Mac” Rebennack, Jr., better known as Dr. John. 1. Where the name came from – Malcolm John Rebennack, Jr., “Mac” was born and raised in New Orleans, Louisiana. Although he came from the predominantly middle class 3rd Ward, growing up in the Crescent City surrounded him with Louisiana voodoo culture. At one point, he found that a distant family member had been arrested, along with a Senegalese prince, named Jean Montanet, AKA John Montaine, AKA “Doctor John,” for running a voodoo operation out of a whorehouse in the mid 1800s. Montanet’s specialty was as a healer, selling gris-gris protection amulets. After his move to Los Angeles in the 1960s, Rebennack, always the showman, adopted the stage persona of Dr. John Creaux The Night Tripper. His debut album release in 1968 was appropriately titled, Gris-Gris. 2. His early influences – Almost everyone in Rebennack’s family, it seemed, played piano and his Aunt Andre taught him to play as well. However, guitar was his first love, and he was good at it, learning licks from local guitarists including Earl King. He also started young, both writing and composing. He wrote his first song at age 14, and while still in Louisiana, wrote songs for, and accompanied artists including Art Neville, Joe Tex, Frankie Ford, Allen Toussaint, and his personal hero, Professor Longhair. At the age of 16, he was hired as an A&R man by Johnny Vincent, for his Ace Records label. The youngest in history, his record stands to this day. 3. Injury and instrument change – Prior to a show, a motel manager was pistol whipping Mac’s long-time friend and lead vocalist, Ronnie Barron, over a tryst that Barron was having with his wife. Rebennack stepped in, tried to get the gun away from the man, put his hand over the barrel and the man shot, nearly taking the ring finger of Mac’s left hand completely off. Although emergency surgery saved his finger, it healed at an awkward angle, making it difficult to fret a guitar. He did play bass for a short time, but eventually concentrated on piano and organ. 6. Session work – For a short time after his arrival in Los Angeles, Dr. John was a member of the Phil Spector Wall of Sound Orchestra, better known today as The Wrecking Crew. They were a group of A-list session musicians that backed nearly every record coming out of Southern California in the 1960s. Other notable musicians from crew included Carol Kaye, Tommy Tedesco, Leon Russell, and Glen Campbell. Always highly sought after for session work, Rebennack has appeared on albums by Canned Heat, the Rolling Stones, James Taylor and Carly Simon, Papa John Creach, Van Morrison, Leon Redbone, BB King, Levon Helm, Gregg Allman, Maria Muldaur, and many others. He also appeared on The Last Waltz, singing, “Such a Night,” from his hit 1973 album, In the Right Place. 7. 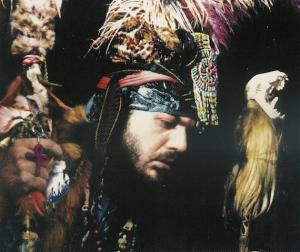 Influence in pop culture – Dr. John is an influential character, to say the least. One of the lyrics from his most recognized song, “Right Place, Wrong Time,” was the inspiration for the title of the Emerson, Lake & Palmer album, Brain Salad Surgery, in 1973. He wrote, and originally sang the, “Love That Chicken,” jingle for Popeye’s Chicken and Biscuits. Although written by Steve Geyer and Mike Post, the title song, “My Opinionation,” for the 90s sitcom, Blossom, was performed by Dr. John. The highly recognized Bonnaroo Music Festival, takes its name from Mac’s 1974 album, Desitively Bonnaroo. 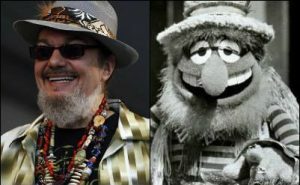 He also partly inspired the Muppets character, Dr. Teeth, leader of the all muppet band, The Electric Mayhem. 8. 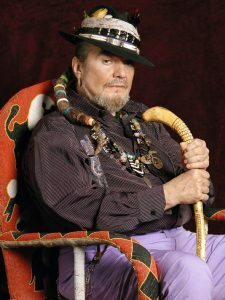 First ever BMA – Dr. John has been nominated for a dozen Grammy awards over the course of his career, and has won six of them. Let the record show, however, that the very first W.C. Handy Award for Blues Album of the Year in 1980, went to Professor Longhair’s, Crawfish Fiesta, on which Dr. John played guitar. 9. The Katrina aftermath – Although Rebennack had relocated to New York some years earlier, the destruction that Hurricane Katrina wrought on his beloved hometown in 2005, left him angry with the politicians and devastated by their lack of concern. Only days after the storm, he performed the Bobby Charles song, “Walkin’ to New Orleans,” to close the Shelter from the Storm: A Concert for the Gulf Coast telethon which raised money for the Red Cross and Salvation Army relief efforts. In November of that year, he released the 4 song EP, Sippiana Hericane, to benefit the New Orleans Musicians Clinic, Salvation Army, and the Jazz Foundation of America. He also led the way in raising funds to assist displaced musicians. 10. His first gig ever – Young Malcolm Rebennack’s first gig wasn’t musical. His mother, a fashion model herself, got his cherubic face on boxes of Ivory Soap. Hard to believe that, looking at his rather imposing figure now.